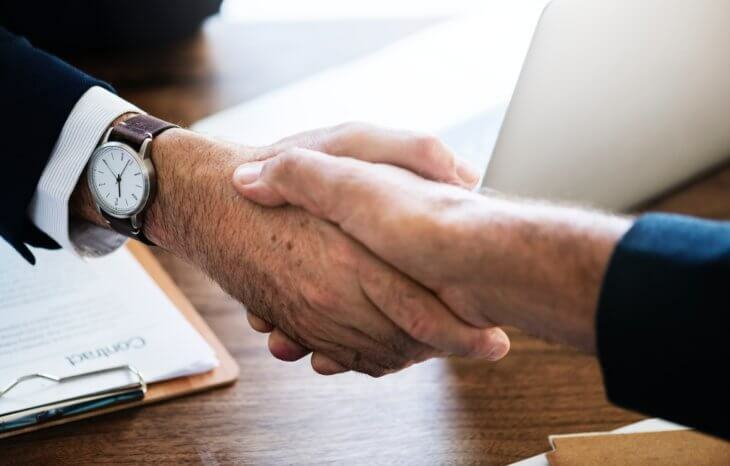 As a sales rep or manager of a sales team, it’s important to see the projected sales forecast and number of deals in your pipeline relative to the coming months and quarters. Your sales pipeline is a visual of the number of deals you or your sales team have generated for a given period of time. Your sales pipeline metrics help you understand your close ratio, conversion rates, and the average size of your generated deals. 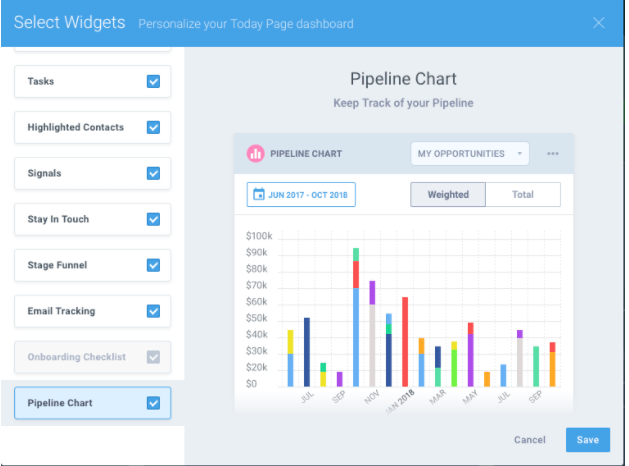 With the new Pipeline Chart widget for the Today Page dashboard, you’ll have a visual representation of your sales cycle and know exactly where to focus your efforts to hit your sales targets. 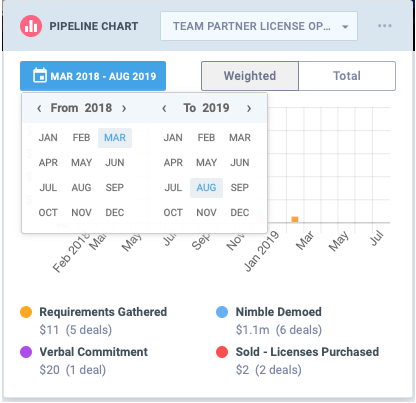 The Pipeline Chart widget helps you manage your sales pipeline and close deals more effectively by providing a visual representation of all of your deals, organized by date. 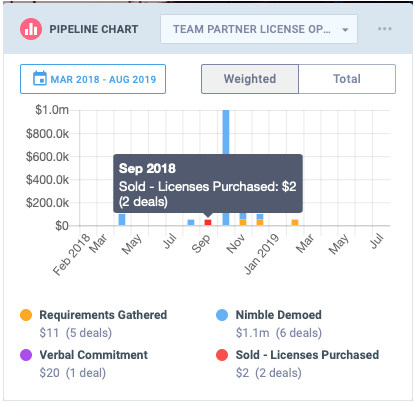 The color coding on each bar gives you a visual representation of the amount for the deals you’re managing by the pipeline stage they’re in for that month. 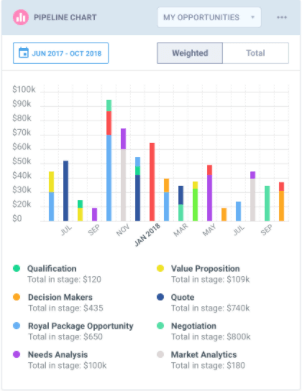 For more granular details, you can sort the chart by specific date ranges to zero in on where you need to focus in a time period or stage of the sales process. Hover over a specific month to see the total deals within the stage of the sales process you’re pointing at with your cursor. Go to the “Manage Widgets” menu on your Today Page dashboard and then select “Pipeline Chart” to make it visible in your account. Learn how to get started on our FAQ page. Our Pipeline Chart widget is one of many widgets available on our Today Page dashboard for all Nimble plans! 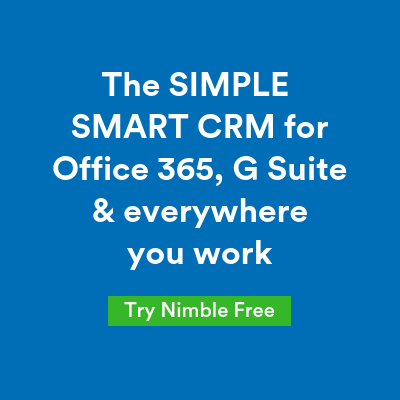 If you do not have a Nimble account yet, we invite you to try it for free for 14 days.